The lovely rustic ambiance and the apt use of wood is what gives this place a feel that makes me want to go there time and again. I've been there on weekdays and this place is mostly secluded. 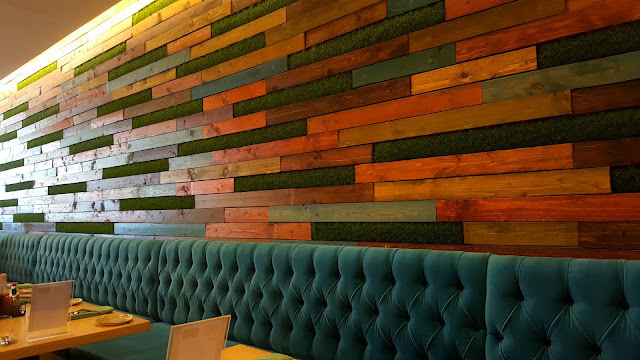 It's a great place if you just want to do your work at peace or need a quiet place for a meeting. The staff isn't the most attentive, but I think having less staff is also one of the things that helps to makes this place peaceful. On one of my visits there, we ordered a Parmesan truffle fries. They took quite some time to be served. They weren't bad. They were crisp, but could have had some more cheese on them. We also ordered a cappuccino and a dark mocha. The mocha was a bit bitter than what you'd usually have, but I liked it a lot. The cappuccino was good too. One of my other visits, we had a Carrot cake. I totally loved this one. Some might find it a tad bit sweeter than the ones you'd get elsewhere, but it's really good. Zaatar W Zeit is one of my favourite when it comes to wraps and salads. They have a good choice of healthy food. This outlet is located near the food court in Dubai Festival City. To start with, we ordered a falafel wrap. They also had an offer that day - we could get two sides for AED 5 when we order a main dish. So along with the wrap, we chose a hummus and a quinoa & tabbouleh salad. The sides arrived immediately. 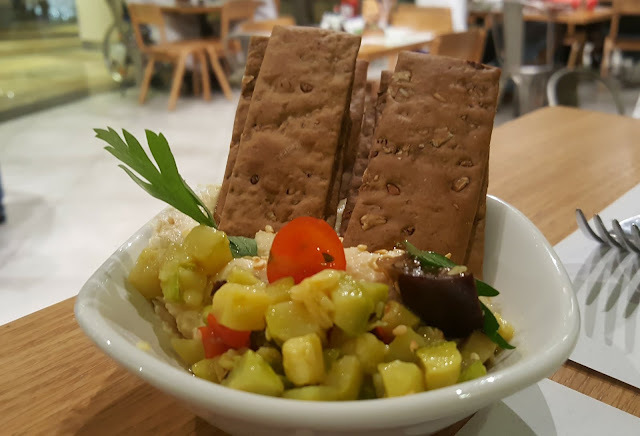 The hummus was served with crispy lavash and some chopped cucumber on top. It was really nice. The quinoa & tabbouleh too was good. Then arrived the falafel wrap. It looked tempting, but it could have tasted better. It was a bit dry. The quantity though was really good. Affordable Korean cuisine is what this restaurant is. They've got quite a variety to choose from, but since I was a bit confused as to what to order, I ordered one of their combos - the Koryo Combo Box. It consists or noodles, rice, 2 mains, 3 banchans (salads) and a soft drink. All this for 35 AED which didn't sound too bad. You have a choice of few noodles to select from. I selected the glass noodles. For mains - I selected a fish and a prawn. The fish was really very good. The prawn wasn't bad, but the quantity of the prawn in the dish was quite less. It was mostly vegetables. Moving on to the salads... 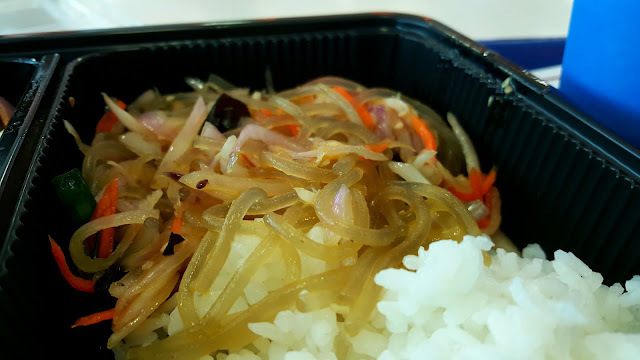 I ordered an eggplant salad, an onion salad, and a kimchi. All of them were good, though not something to rave about. With so many restaurants offering weekend breakfasts / brunches, Cherrie Blossom definitely stands out for its views. We saw the breakfast offer on their Facebook page, and given the selection of the menu for the price of AED 37, we were quite excited. The views there are breath-taking, and going there just for the views itself is worth it. 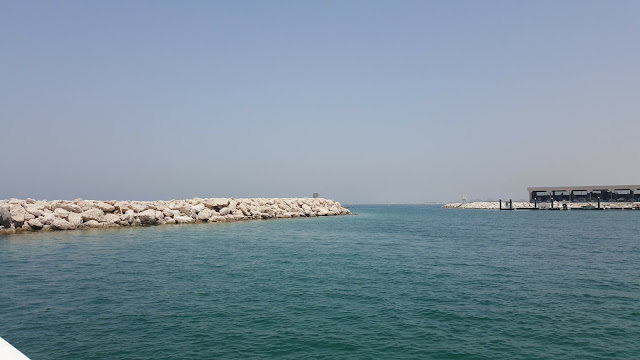 Initially we couldn't find the exact location, as we followed the location on Zomato which just says Jumeirah Fishing harbour, so obviously we didn't reach there. Then we saw their location on their facebook page which was accurate (you can also click the Location just below this blog-post which will take you there directly). If you go a little early, you should get parking easily. Once you enter, you'll notice their cute and artisty décor with a white and purple theme. Initially I just saw the seating area downstairs and it was extremely small, but go upstairs and you'll see that's where the real fun is. Among the handful pure vegetarian Italian restaurants is Quattro. 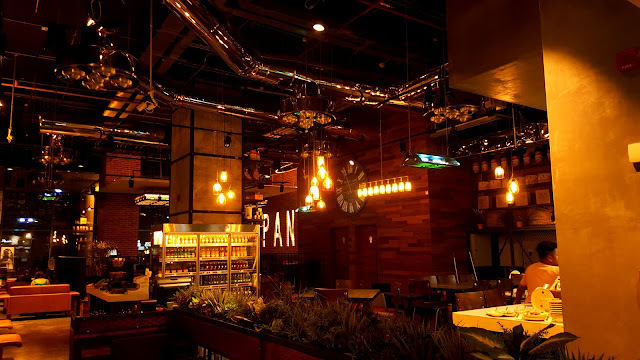 They serve Italian as well as Mexican cuisine with a bit of a fusion twist. As soon as you enter you notice the rustic and earthy interiors of this place. The staff showed us to a comfortable table. Before they serve the food, they got us a wide selection of dips — salsa, habanero, mango, pesto, and a few more — each of which were explained by our server Vishwajit. They've got a wide variety in their menu and you're spoilt for choice, especially since they've got the concept of molecular gastronomy and each item has something unique to offer.